By Jack Neff and [email protected] . Published on November 16, 2009. The knock on direct-response is that it's not really selling brands. Critics say the denizens of late-night and thinly rated cable programming sell one-offs and then move on to the next quick hit. But Scott Boilen, president of Allstar Marketing Group, is out to prove them wrong. Having surprised even himself when his blanket with sleeves broke through as a pop-culture hit earlier this year, Mr. Boilen now projects the Snuggie will be bigger still in year two. 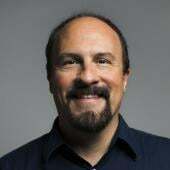 He's pulling out the same stops more-esteemed marketers of such blue-chip brands as Tide or Cheerios have long used, including a bevy of line extensions. Beyond last year's distribution, mainly through direct response, Bed Bath & Beyond and drug stores, the Snuggie has branched into such unlikely places as Lord & Taylor, campus bookstores and pet stores in its second year. New products include college-themed Snuggies, leopard and zebra prints and Snuggies for kids and dogs. New marketing wrinkles this year include a well-publicized Snuggie runway show during Fashion Week in New York and a collaboration with the band Weezer, which put the Snuggie into a music video and has its own custom version. Mr. Boilen expects to sell as many as 20 million units in year two after selling 5 million the first year. That comes to more than $300 million in total retail sales. "You always need a combination of luck and a well-timed strategy," Mr. Boilen said. 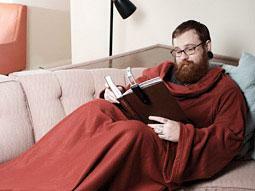 "Snuggie took off with viral campaigns that were not part of us. Once we started seeing that, our whole marketing team got behind it." This year's fashion show, which generated more than 300 news reports, was entirely engineered by Allstar. Weezer approached Snuggie and Allstar worked with the band to promote it. The web has moved from generating around 5% of Allstar orders to about half over the past five years, he said. "We're testaholics," he said. "So we'll find where the consumer is buying."